Lace Overlay Sleeveless Evening | Sung Boutique L.A. 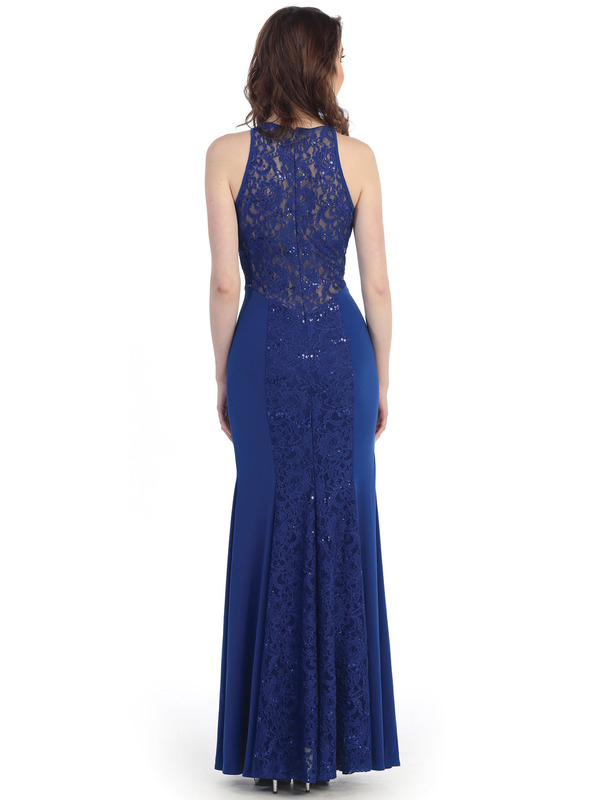 This beautiful evening dress features high neck with cutout sleeve. 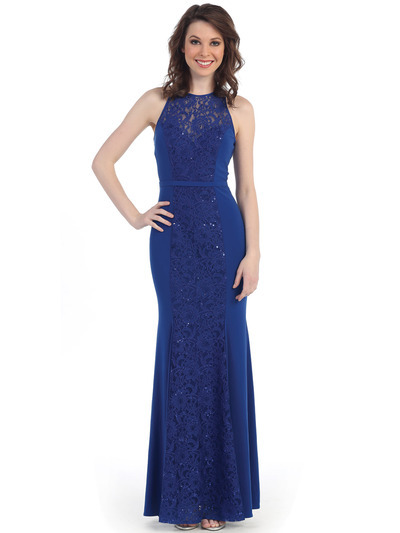 Fitted bodice with floor length flare hem completed the red carpet look.